Each month, nearly 100,000 Internet surfers visit Tahoe's Best. 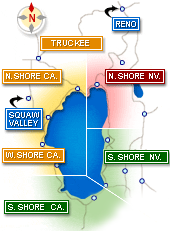 We wish to provide as much quality information regarding Tahoe events and attractions to these visitors as possible and we welcome additions to our current listings. If you would like to have your event included in Tahoe's Best, please submit the information regarding your event using the form below. It is free of charge to list your event, as submissions have been overwhelming and our editorial staff has to review and post all individual events. Once approved, your ad will show up on our main events page on the days that you specified! It will also show on all of our event calendars site-wide. As soon as you're registered, you will receive details in an email to validate your account. Once you confirm your account, navigate back to this page and login. Next you will add your event. Be sure to include as many details as possible - time, location, etc. Once complete, click the button on the bottom of the page to add your event to the cart. Once completed, our editor will review your submission and post it onto our main events page within 5 business days! Your listing will show up on our main events page for the time that you purchased in the format seen to the right on the days that your event is occurring. Thank you and we look forward to promoting your event on Tahoe's Best!